Today is a very big day for TimeLine Theatre Company. 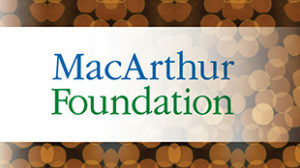 The MacArthur Foundation is an extraordinary organization. Many of us recognize it because of the incredibly distinguished individuals named to the MacArthur Fellows Program, often referred to as the “Genius Grants.” That’s impressive enough! But the foundation does so much more. It funds programs all over the world, yet continues to include providing general operating support to Chicago arts organizations among its many giving priorities. TimeLine has been fortunate enough to receive operating funds from the MacArthur Foundation for many years—first via the MacArthur Fund for Arts and Culture at The Richard H. Driehaus Foundation and currently through the MacArthur Fund for Arts and Culture at Prince. Now TimeLine is honored to be one of 14 arts organizations in Chicago receiving the MacArthur Award for Creative and Effective Institutions. The MacArthur Award for Creative and Effective Institutions recognizes exceptional nonprofit organizations that have demonstrated creativity and impact, and invests in their long-term sustainability with sizable one-time grants. 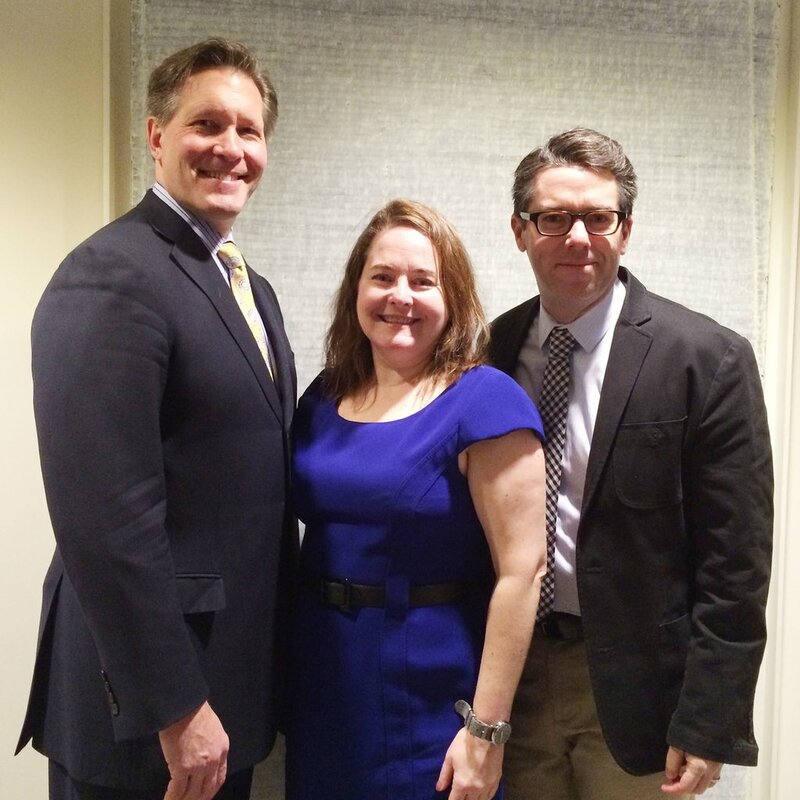 Board President John Sirek, Managing Director Elizabeth Auman and Artistic Director PJ Powers celebrate at a MacArthur Foundation breakfast on Thursday, February 18, 2016. I am grateful for the MacArthur Foundation’s commitment to the organizations they support, in ways that go beyond annual operating funds. This award is a representation of that commitment. It provides a one-time infusion of capital to reinforce an organization’s operating and programmatic foundation. And it requires that recipients use a substantial portion of the cash prize for a singular purpose that strengthens the organization over time. It is not for general operating support. 85% of the money is to be placed in a restricted, Board of Directors-managed reserved fund, created to provide greater financial stability and to support strategic goals. Management will work with the Executive and Finance committees of the Board to determine appropriate uses. And any money spent out of the fund must have a plan for timely repayment. The remaining 15% will be spent in the short term to upgrade TimeLine’s woefully inadequate technology infrastructure. In our strategic plan, two of the primary goals involve the company’s internal culture and environment, as well as the experience our patrons have with us. We want to provide a work culture for artists, staff, board members and volunteers that embodies professionalism and that facilitates great work. And we want our patrons to have a seamless experience communicating with us and our art. Upgrading our current telephone system and computer infrastructure is crucial to meet these goals. The confidence that the MacArthur Foundation has shown in TimeLine is truly humbling. As we prepare for our 20th Anniversary season and continue to plan for a new home, this award gives us enormous encouragement, an even more solid foundation, and renewed confidence to take our organization to the next level. On behalf of Artistic Director PJ Powers and the entire community of Company, Board, Staff, Associate Artists and others who make TimeLine what it is, thank you to the MacArthur Foundation and to all our supporters for propelling this organization forward. Without your belief in TimeLine’s mission, we would not be where we are today. For more about the MacArthur Award for Creative and Effective Organizations, read TimeLine’s news release about the award (PDF) and visit TimeLine’s page on the MacArthur Foundation website.